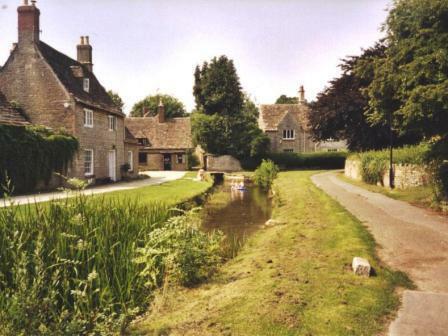 Ashton Keynes is 4 miles west of Cricklade and about 10 miles NW of Swindon in Wiltshire. There have been settlements around Ashton Keynes since the Bronze Age. Celts lived in the area, and later there were many Roman settlements nearby. 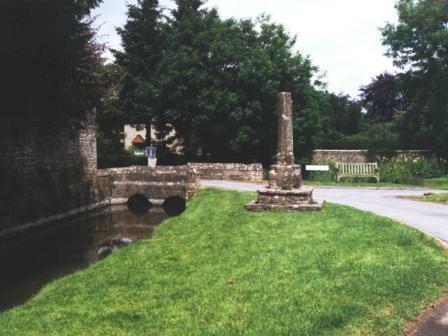 It was recorded as Aesctun in 800 AD and later that century King Alfred gave the Manor to his daughter. The Domesday Book shows “The Church of St Mary of Cranbourne holds Essitone (Ashton Keynes) and held it in the time of King Edward, ..............” By the 13th century the Manor was held by William de Keynes and in 1306 it was decided that the land belonged to the Abbot and covenant of Tewkesbury. After the dissolution of the Monasteries the Manor passed first to the Hungerford family, then the Sackville family (1624), The Evelyn family (1632) and on through various families until it was put up for auction in 1843. However, most of it was purchased by Lord Henry Vane by 1848 and passed to “Squire” Hay-Drummond in 1903. 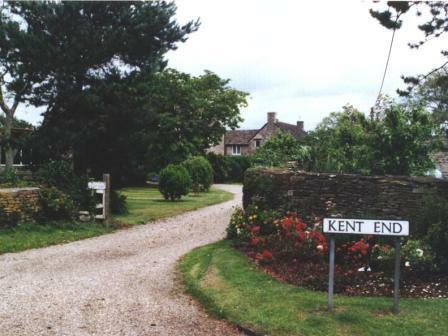 Ashton Keynes was one of the last villages still under the Manorial System until the estate was broken up in 1913 and the village became independent. Parish Registers begin in 1582 and are continuous and well preserved. There are also transcriptions held in Wiltshire Record Office. 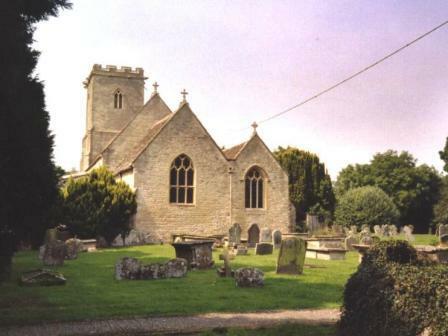 At nearby Leigh there is the Parish Church of All Saints with records beginning in 1683. In the 19th century there were plenty of shops and public houses (which served mainly local cider) most of which have disappeared. My first visit to Ashton Keynes in 2004 proved a pleasant surprise. 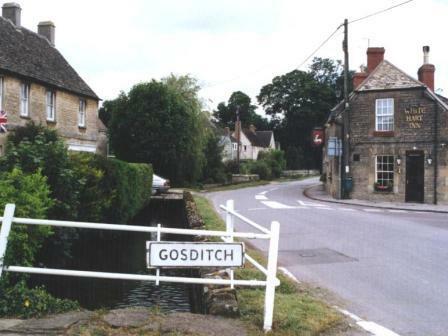 It is, today a really beautiful Cotswold village with a miniature River Thames running through. The river and small tributaries and streams run beside the streets. 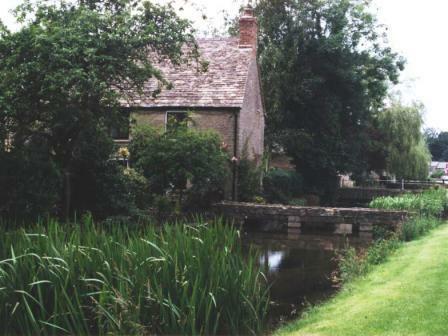 It is quiet and full of picturesque houses and cottages with pretty gardens. This was not as my grandmother described it: “cold, damp, dirty, smelly and often flooded”. Well, in the ninteenth century it probably was all of those things. The closeness of the Thames and the porous soil made it damp and liable to flooding every winter and after heavy rain. Refuse and sewage went straight into the rivers and this polluted the shallow wells which provided water to the population. There were frequent outbreaks of illness in the village. A proper water supply was not installed until 1931. Septic tanks gradually replaced other methods for dealing with sewage but a mains sewage system did not arrive until 1973. Electricity reached the village in 1929 and street lighting was installed in 1950. Perhaps these poor conditions and the lure of a better life in towns contributed the the population decline to a minimum of 744 by 1921. This is now reversed as Ashton Keynes today would be a lovely village in which to have a home. Source: Ashton Keynes-A Village with no Name by Madge Paterson and Ernie Ward.